now in its 20th Edition! This must-have guide to safe and healthy travel is back – and updated! With global health information constantly changing, it’s more important than ever, to have current advice you can rely on, wherever your next adventure takes you. Nobody wants to have an enjoyable holiday cut short by preventable illness or injury – and what you don’t know, can hurt you when you’re exploring the world. Written by ‘The Travel Doctor’ (Dr. Deborah Mills, MBBS MPHTM), Travelling Well has been providing essential travel health information to intrepid globe-trotters since 1989. Read it thoroughly before you go, or bring it with you for good health while you travel. Because individual travel health requirements depend on medical history, destination, length of stay and intended activities, this 190-page book is meant to be used in conjunction with a doctor’s consultation. Based on the regions you’re visiting, your vaccination record, past health issues, overall itinerary and other factors, an experienced travel medicine professional can advise you on the what, where and how of healthy travel. 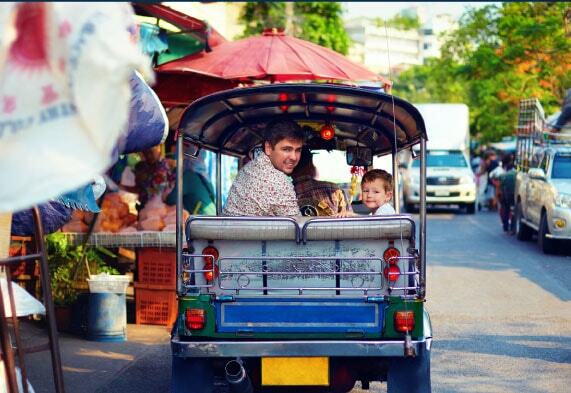 Travelling Well is divided into convenient sections so you can find the facts you need quickly. Learn how to prepare for your journey with a pre-trip check-up, essential medications, vaccinations and preventative measures to reduce your risk of injury or illness abroad. Discover the best treatments for common on-the-road ailments, from stomach issues and jet lag to injuries, animal bites and more. This book explains how to stay on top of your health before and during your trip – and also outlines circumstances where you might need to visit your travel doctor after you come home. With this comprehensive but compact guide in your luggage, (or your technology) you’re ready for whatever adventures the planet can offer! 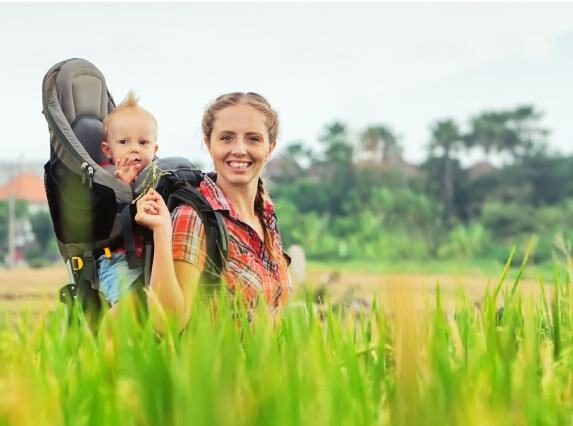 Discover great health tips for travelling with infants and children, how pregnancy and mature age can affect your journey and what authorisations you might need if you’re travelling with medications. Learn how to find a reliable overseas doctor when you desperately need one. The convenient Drug Reference Table is also incredibly useful, listing common travel medications with pertinent details on use, dose and precautions. Having a decent medical kit is vital, especially if you’re travelling independently or venturing off the beaten track. Travelling Well’s extensive list of kit items for a range of travel scenarios is indispensible, whether you’re planning to surf in Ecuador, take the kids to Disneyland or trek through Romania. Global travel can be full of surprises, from ‘accelerated digestion’ and mysterious skin rashes to malaria and foreign objects in your eye. 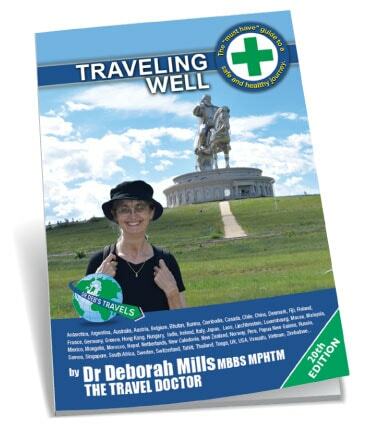 Stay ready with your own copy of Travelling Well which includes new, updated information on Zika virus infection, traveller’s diarrhoea, Methanol poisoning, travel health apps, Yellow Fever and Japanese Encephalitis vaccines, the global rise in antibiotic-resistant germs and more. Now in its 20th edition (with more than 200,000 copies sold worldwide), Travelling Well is also available as a PDF eBook. It has been translated into Vietnamese and Braille. “Travelling Well is a great travel companion. It is packed full of information and is so easy to refer to. Everything you may need to find out about, from ‘Accidents’ to ‘Yellow Fever’. 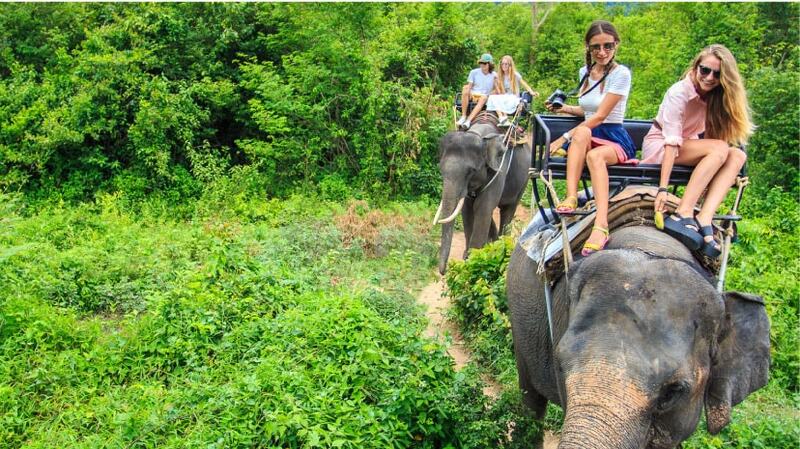 "Travel Medicine is a highly specialised area that requires dedication and concerted attention. 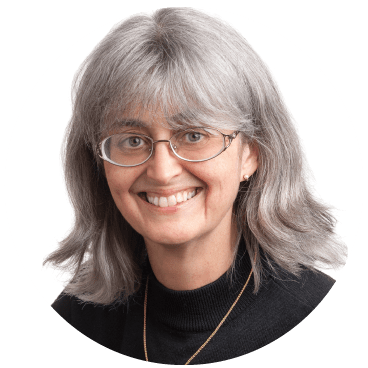 Dr Deb Mills is a recognised pioneer and leader in this field in Australia and neighbouring regions. Information gleaned from years of experience has been condensed into Travelling Well, a book that presents, in succinct and straightforward language, all the important, practical health information that any prospective traveller might need, before, during or after their trip." "Full of sensible, easy to follow advice......the section "If You Get Sick" is particularly helpful to travellers." 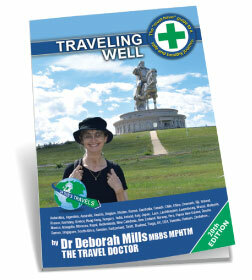 "Travelling Well contains the essential information that travellers need to protect their health overseas. The feedback from our patients is that this book is extremely useful and worthy of a place in their luggage." "Clear, concise, practical and without doubt the most user-friendly travel health book available. This book is essential reading for all travellers. Prevention and treatment of common travellers' health problems are covered in an easy to read and understand format. I feel secure that when my clients travel with a copy of Travelling Well they have an excellent tool to help them on their way to having a great trip. A true don't-leave-home-without- it item." "Travel Medicine is more than a few jabs and tablets for diarrhoea. Information on how to stay healthy while travelling and how to manage minor medical problems efficiently and effectively is essential. Travelling Well is written by one of Australia's most experienced travel medicine practitioners and will make an excellent companion in your travels." "There are three things I wouldn't dream of leaving Australia without - a passport, a sarong and a copy of Travelling Well tucked into my first aid kit. It's a hell of a lot cheaper than carting a real, live physician around the world with you!.. (and the crew are always borrowing it to diagnose themselves on the road.) It's a gem." "The information in this book, and the medicines that go with it, are a very valuable thing when in a country where the hospitals can make you sicker than you already are. Thank you very much for your help so far in my travels." "The eternal dilemma of which tablet, when and why! This book is an invaluable resource in answering this question and many more when medical assistance may be unavailable or just plain dodgy! Keep it stashed somewhere amongst all those other essentials." "Thank you Travelling Well for 18 months of guidance in India, Nepal, Africa and Madagascar. You gave us (and all those who borrowed you) peace of mind when we were isolated and proved a true friend in times of need with diarrhoea and infection! Thanks to you we fulfilled our dream of marriage on the summit of Mt Kilimanjaro in excellent shape, as we watched others battling with the altitude or even being forced to turn back. (Sadly, we also heard of the preventable (?) death of a trekker from acute mountain sickness that very week. Thank you for keeping us safe and for being written in such a user-friendly, easy to understand style." "Travelling Well is a precious publication. This book provides all the necessary information on the prevention of travel-related sickness. I wish this book had been available while I was an airline manager based in Tokyo. It could have helped many Japanese travellers who have had to suffer unnecessarily during or upon their return from their holiday." I visit the Travel Doctor prior to all overseas trips. 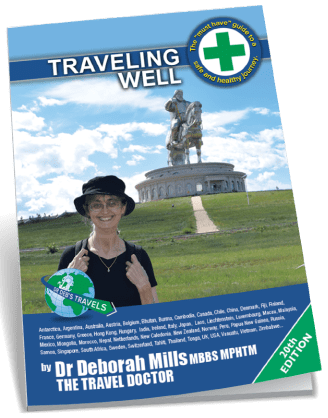 With the Medical kit and the Travelling Well book, you have created an easy to understand (especially for the lay person), comprehensive, empowering, accessible and sensible reference for any traveller. For what it is worth, I thank you. I can now travel with increased confidence, knowing that I can deal with the more common travel illness myself, and even more importantly, can act to prevent them in the first place. It is not surprising that travellers are not familiar with the local hazards in places remote from their home. This book is designed to give you the information you need to minimise any health risks of travel – the easy way – without pain and suffering. Travel is about new experiences, but sickness or accidents are experiences we can really do without. Travelling Well is divided into sections for easy reference. Before you go: to read initially and become familiar with vaccinations, malaria prevention, medical kits and pre-travel health checks. While you are away: you need to thoroughly familiarise yourself with the hints on how to stay healthy. If you get sick: hopefully you will not need it, but this section covers travellers’ first aid. Generic drug names are in lower case where possible. A few details: this is for readers interested in finding out more information about the various diseases. When you get home: important information on post-travel precautions and medical checks. Symptoms fast find index: this allows the reader to quickly find the pages that discuss a particular symptom, and treatment. This book has the background information you need to stay healthy while travelling, but no book can tell you exactly which vaccines or other specific precautions you need for your particular journey. Travel health information and recommendations are constantly changing, and recommendations vary depending on your past health, what vaccines you have had before, what you will be doing while you are away, and what part of a particular country you will be visiting. it is highly recommended that you consult a doctor experienced in travel medicine, to access this type of up-to-date information about the exact recommendations for your particular trip. The best selling travel health book, Travelling Well is now available as an application for apple and android smart phones. 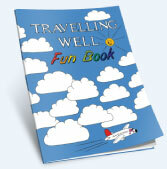 The popular Travelling Well Fun Book by Dr. Deb Mills is a children's activity book that is useful resource to teach your kids how to travel safety. What Shots do you need?